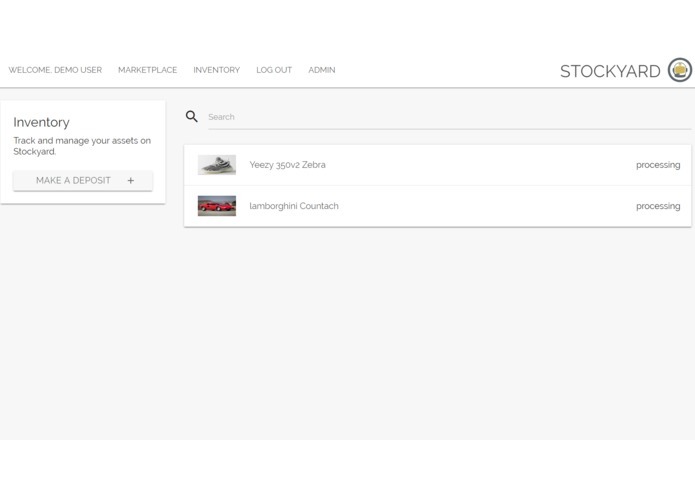 Kelvin has been making a living of sneaker arbitrage for months now and after he told Dev about it, Dev had the idea of making a commodies market for all the isolated secondary markets (like shoes). 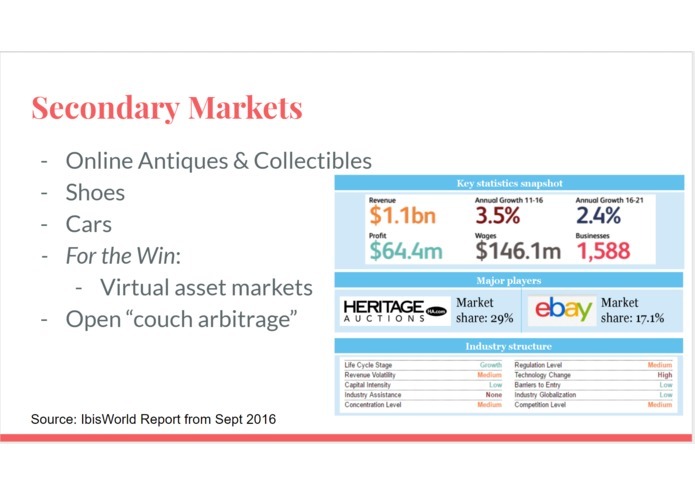 All these unique items with niche markets are ripe for "couch arbitrage". Such a thing is described in the book "For the Win" by Cory Doctorow for virtual asset trading. In the book, one of the characters trades thousands of quanities of virtual swords, party hats, magic runes, etc from online video games. 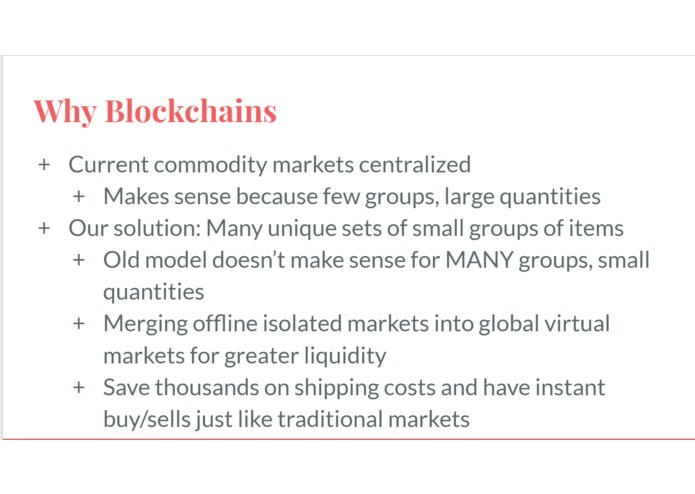 While the markets described in the book are purely virtual markets, we can take the same concept and apply them to tokens issued for physical assets through the blockchain. When the final person who gets the token wants to use the physical item, they redeem. 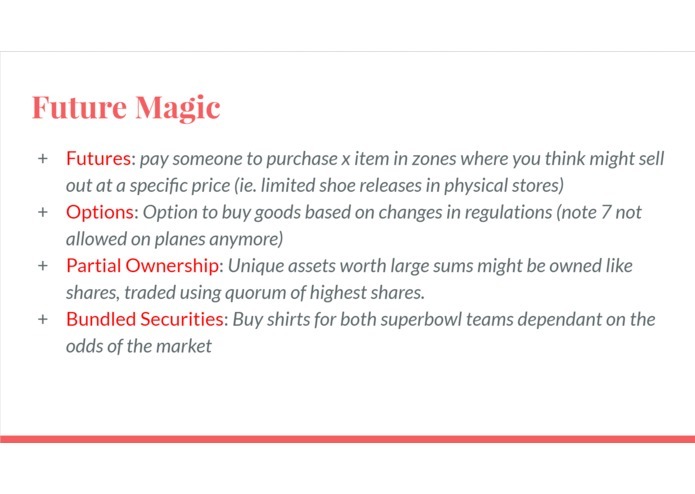 Redeeming a token ships out the underlying asset. 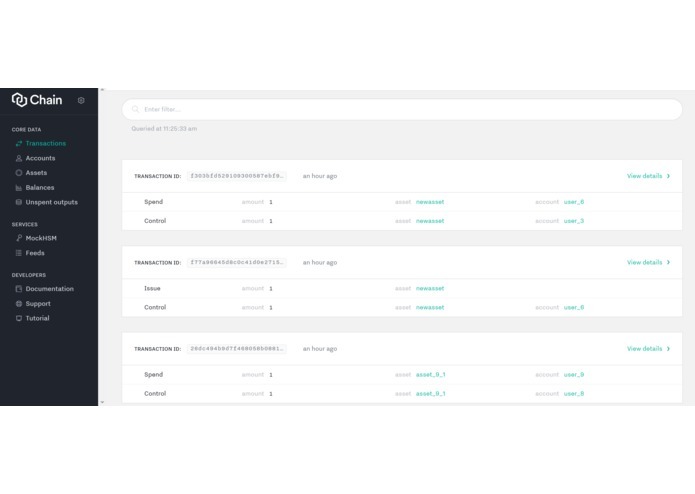 We set up a server with Docker tooling to deploy Chain Core Developer Edition and NodeJS and Angular servers. 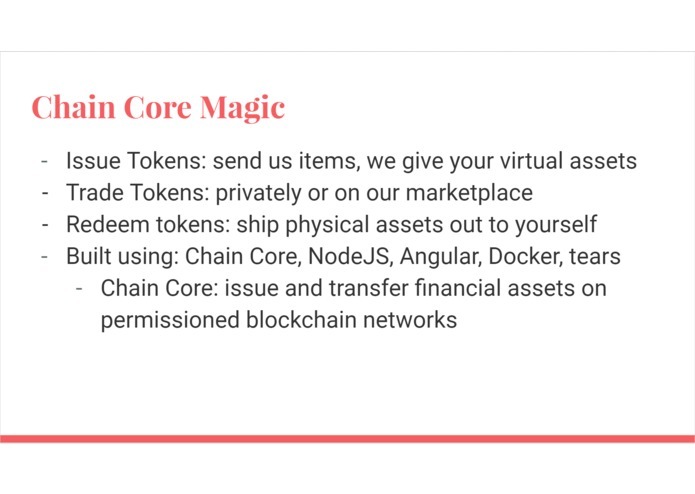 Working with Chain Core was extremely easy as unlike other blockchain languages, it's a purpose built blockchain with SDKs for NodeJS. 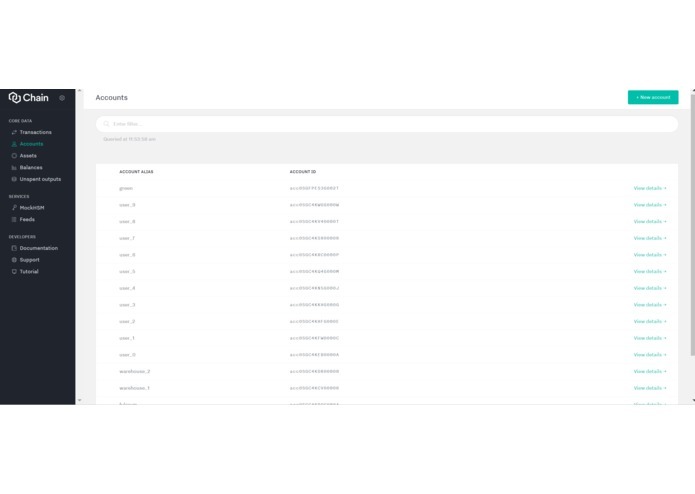 Hardest part was setting up our docker images and deployment strategies so that they would be self deploying/ following production level devops. Working with Systemd to set up self deploy and always running systems was new and exciting. Actually caring enough to write any security features in. Auto deployment. Everytime I pushed my code to github, it would recompile and relaunch the server automatically. ChainCore was an amazing technology to learn. We're hoping to deploy this on a production level instance as part of our Chicago Blockchain firm, Fulcrum By Axiom. Node JS Chain lib, angular 2 front end. Blockchain magic.